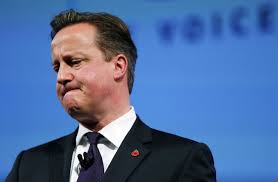 ✔️ Pathetic Polling #2 – David Cameron’s… Demise? by Calling Out Community, Posted May 8, 2015. Updated January 2, 2016. In early May, 2015, Labour Party leader David Miliband had detailed an action plan to start to oust current British Prime Minister David Cameron from Downing Street on the day after the general election, based on the private polling that showed the party ahead in key marginal seats. The party leader was ready, if necessary, to form a minority Labour government that might later make an offer of a deal with the Liberal Democrats to strengthen his legitimacy, so confident was he of being able to reach No 10. British Prime Minister David Cameron was in trouble, the pollsters squawked constantly on SkyNews, CNN International and formidable papers the Guardian, Telegraph and others, and the election was expected to be one of the closest in British history. British prime minister David Cameron has confounded pollsters and pundits by winning a sensational second five-year term in office for his Conservative party. 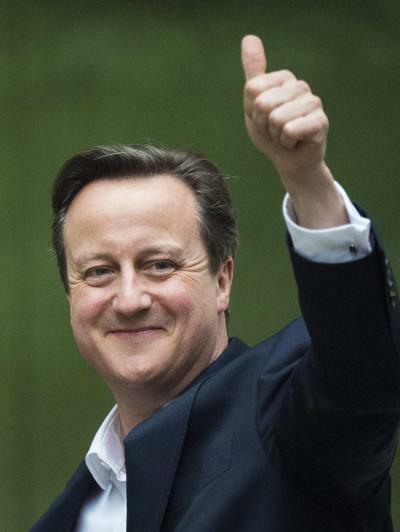 This time Cameron will be free from the constraints of coalition with the centrist Liberal Democrats. The Lib Dems, Cameron’s partners in office since 2010, were almost wiped out, and their leader, deputy prime minister Nick Clegg, resigned on Friday morning. Cameron’s victory in Thursday’s general election obliterated opposition leader Ed Miliband’s hopes of eking out a small win for Labour. Miliband also resigned in the wake of the defeat. With all 650 seats declared, the Conservatives had 331, Labour 232, the SNP 56 and the Liberal Democrats eight. In practice 323 Members of Parliament is the number needed to form a majority government. Remember, David Cameron was possibly going to lose the election, and who had only governed previously with a coalition. Now here he is with a majority government, with both of his closest opposition leaders resigned. And smiling broadly for the cameras, as well he should. Pathetic Polling #1 – Bibby’s….Battle? Pathetic Polling #3 – Christy Clark’s….Collapse?